Nick and I went to Ruby’s, a small neighbourhood eatery in Nolita on an American friend’s recommendation. So we were not expecting to find ourselves sitting in an Australian café. It was only after surveying the menu that we realised we were in such an eatery. If the Aussie colloquialisms like ‘breakie’ and ‘bevies’ don’t give it away the names of the burgers – ‘Bronte’, ‘Bondi’, ‘Bells’, ‘Coogee’, with toppings of beet slices, pineapple and avo sure do. I opted for the Bronte Burger (a premium ground beef patty, topped with tomato, lettuce, sweet chilli and mayo), while Nick went for the Bondi Burger (tender chicken breast, tomato, lettuce, sweet chilli and mayo). They were both absolutely delicious. So much so they were gone before I could take a photo. (Hence why there’s no burger shot). The meat patty was mouth-watering good. It was juicy but not too juicy and bursting with flavour. The burgers at Ruby’s are more than your run of the mill burger. I’d say they’re more on the side of gourmet, served on a ciabatta roll and accompanied with a light side salad. They leave you satisfied but not uncomfortably full. 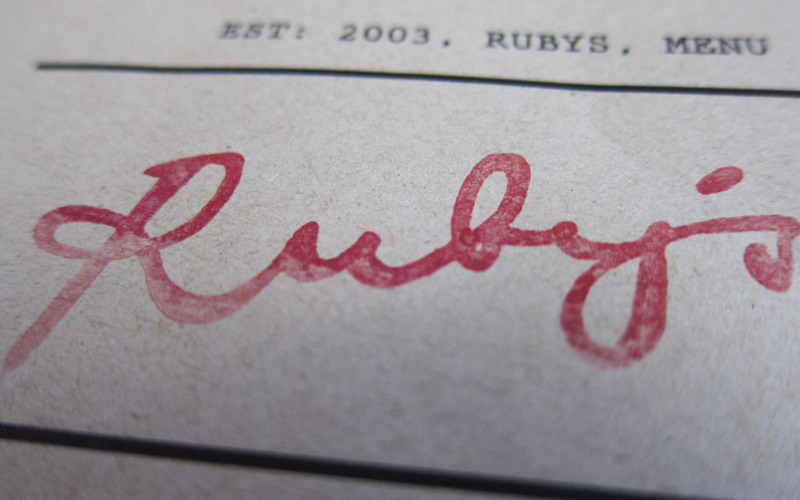 Ruby’s doesn’t just do burgers, although it would seem that way from my endless talk about them. They also serve a range of pasta dishes (bolognese, creamy chicken, spicy Italian, roasted vege), as well as a selection of salads (roast pumpkin, pear and walnut, apple prosciutto, chicken and avocado, just to name a few). While I could have easily done without dessert (and happily sat reminiscing about the incredible burger I just ate) I simply could not refuse home-baked banana bread with passionfruit butter. Nick also gave into temptation, choosing the sticky date pudding that was on offer. Both desserts were seriously scrumptious and left us happy, full and already talking about our next visit. Diners at Ruby’s share picnic style tables and are waited on by only one server and by the looks of it only one chef, who works in one of the smallest kitchens I’ve ever seen. The restaurant itself is tiny. I’d say a max of 20 people perhaps could be seated at one time. Despite the limited seating we’ve never had to wait long for a table. 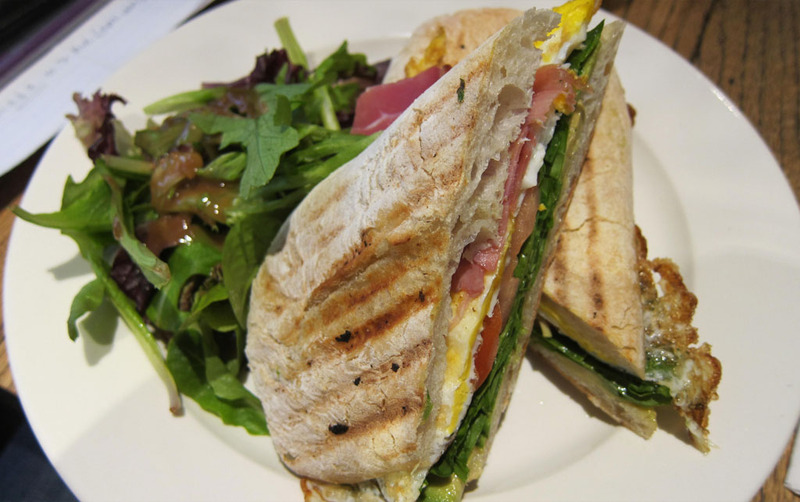 Ruby’s is a casual dining treat with friendly service and the most delicious food. If you’re in the area I definitely recommend it. I've been here too! Delish!